Fifteen years ago an access panel came swinging down on my head. My life changed forever. Not all the changes were bad, but there was a long period of difficulty. Looking back, I had a lot of symptoms that are no longer present. Other symptoms are much better or only intermittent. The best part, yes there is a best part, is that I learned a lot and became a better person because of what I went through. In the beginning I had lots of symptoms. Here are the ones I can remember. I had a constant migraine that, on a scale of 1-10 my pain level was between a 7 and a 10 all the time. It was always there and made it impossible to sleep without taking medication. I had difficulties with balance. I had to cruise the furniture like a toddler to make it across the room without falling. In public, people would comment that it was so nice that my teen children would let me put my arm around them in public. They were holding me up! I burned myself a lot. Sometimes, when I was cruising the furniture and lost my balance I used the wood stove for stability while it was filled with a roaring fire. It took a while for the message of HOT to get from my hand to my brain and back again so I knew to remove my hand from the extremely hot wood stove. I also burned myself on the kitchen stove several times by picking up the burner with my bare hand to wipe up a spill. The same slow processing lead to some painful burns. I did get pretty good at treating burns, though. I couldn’t stand up in the kitchen long enough to make food. My standing still limit was 1 – 3 minutes. Moving was easier than standing still. I couldn’t remember what I had already put in a recipe anyway, so cooking was not really an option. I couldn’t taste anything except large amounts of strong garlic. (When I was able to begin to cook this became an issue for my family as everything had way too much garlic in it.) I couldn’t smell either. The only smell I could smell was a phantom smell of dog poop. I used to ask the kids to go see if one of the dogs had gone in the house. They reluctantly looked even though they knew what I was smelling was not really there. I was a full time job to take care of. My husband had to take off work for the first two years and care for me. I was often not a very nice person. I was demanding. I was emotional. I was like an adult child. I couldn’t do anything productive and I could do things that weren’t safe or smart. He became a single parent and a caregiver. I don’t know how he did it! The kids pitched in as much as they could. They looked for phantom dog poop, talked to me, helped keep an eye on me, cooked meals and watched movies with me. The first two years of my brain injury are pretty much a black hole in my memory. I don’t really remember anything. My memories come from my family telling me stories. When we talk about things from that time and I look confused, they tell me that it is from the time I don’t remember. My other symptoms are not as impactful, but were things I had to work through. I had some issues with drool in the beginning and had to constantly wipe my face. Communication was difficult. I used “you know that thing” and “thingie” a lot. Another common phrase was, “that thing you use for.” I could also be very entertaining because I would think one word and another word would come out of my mouth. Everyone would laugh and I had no idea why. They would tell me what I had said and I would argue that I had said something entirely different. I didn’t have a sense of humor then. My other communication issues were stuttering and word finding. These made it difficult to get my thoughts out and lead to a lot of frustration. I didn’t seem to have any filters, so the frustration could get ugly. My lack of executive function and the inability to filter thoughts and input made it difficult to be around me. I said things that should have remained unsaid. I couldn’t handle ambient noise, visual stimulation, movement or light. This made going anywhere difficult and often impossible. Movies were something I tried with earplugs a few times. It’s so loud in a theater that the earplugs didn’t do the job. I tried different kinds. With all the flashing of the light from the movie and the jump cuts and action scenes movies were out. I could even be stimulated by the light movement with my eyes closed. The more I could control my environment, the more comfortable I was despite the debilitating migraine that was always with me. I couldn’t remember movies anyway. I even had difficulty following the story. I couldn’t remember what someone told me just a few minutes ago. My family was constantly having to repeat themselves. I know this was very annoying for them. I can remember my kids telling me that they had already told me. I would say I couldn’t remember and ask them to tell me again. It was a good thing that I had learned how to use a PDA before my brain injury. Learning a new skill was out of the question. If I remembered to put things in my PDA, and remembered to look at it, I could stay on track. The first year of my brain injury I got very little treatment. I was a Worker’s Comp case. Their default position is that everyone is faking their injury. During this time I was allowed the standard 12 physical therapy visits even though reports stated I needed more. I could see my primary care doctor as often as I wanted and have as many prescription drugs as he wanted to prescribe for pain management. He tried to keep me as comfortable as possible and created a detailed record of my symptoms and all the things that didn’t help. One day a Worker’s Comp case manager showed up at our door unannounced. She was sent to find out why I had not returned to work yet. My husband let her in to see me sitting on the couch. She was apologetic that I had fallen through the cracks. She moved me to the head injury department and the services began. The next week I had so many people showing up at my house for treatment it was overwhelming and exhausting. I could barely keep up. I had a case manager, a physical therapist, a speech therapist, an occupational therapist and a social worker. The therapists each came three times a week. They each gave me homework task to practice. The social worker and case manager each came once a week. I was referred to an additional doctor and a vision specialist. I was suddenly super-busy! It was so hard to keep up! My migraine got worse. My dizziness increased. I was exhausted. There were lots of appointments and additional professionals added to my weekly schedule. It was all exhausting and much of it was helpful. By the end of the treatment process I was able to function better. I could walk unassisted, cook with a checklist and drive. My visual issues were a bit better. My eyes could track better using large print, but I still had difficulty remembering what I had read. My migraine, however, was unaffected. I did end up finding the migraine answer when my neuropsychologist recommended Neurofeedback for brain training. Neurofeedback is the single most important thing I did to get my life back. Living with debilitating pain in your head 24/7 is exhausting. It makes it difficult to accomplish much. Neurofeedback started lessening my pain in the first 20 sessions. I continued to do Neurofeedback for a few years until I got control of my migraines. I still have only occasional migraines and they are not as painful as they were. The impact Neurofeedback had on my life is what led me to become a Neurofeedback therapist. Today I am able to walk and talk like I did before my brain injury. I only have migraines occasionally and they don’t usually last long. I can taste everything and don’t need large amounts of garlic. I can smell things that are really there. I haven’t burned myself in years. I still have difficulty with reading and reading comprehension, but I can learn with accommodations and lots of effort. I still forget things, but I have tools I use to help me. I still have a hard time with facial recognition and names. I have learned that the more often I see someone in the same context, the easier it is for me to recognize them and remember their name in that context. It takes longer for me to recognize someone in a different environment. For the most part, people who don’t know me well are not aware of my deficits. I can carry on an intelligent conversation despite my decrease in intelligence. I’m the only one who feels the difference. The only thing people who are not close to me notice is that I don’t remember what I said. I can’t repeat what I said a few minutes ago exactly. I can, however, say it differently and stay on subject. The older I get the more this is socially acceptable, so that’s a plus. Welcome, gray hair! I have been able to return to school and complete my bachelors degree in psychology with almost all As. I was able to complete my masters in counseling psychology with As and one B. I was able to do this higher learning with accommodations that allowed me to use large print, digital texts and extra time for exams and assignments. It takes me longer than average to read and comprehend and to process information. Higher education is not something I would have thought possible within the first 5 years of my brain injury. The cool thing is that it wasn’t that difficult. It took time and effort, but it wasn’t a total struggle. I kept with it and I did it. To me this is evidence of huge improvement. I have made it through a lot despite being told I would be disabled for the rest of my life. (They did not know about brain plasticity.) I have pushed through lots of pain. I have figured out how to cope and how to do things differently. My thinking has changed. I continue to move forward in my life learning how to be my best self. Studies have suggested that sleep is essential for the maintenance of proper immune function. Sleep is your mental “down time” for your neurons to repair themselves. While you sleep, your memories can be organized into long-term forms of storage. Your body also repairs muscles while you sleep. This makes sleep a very important part of pain management. Be sure to get a good night’s sleep to function at your best. You must practice to learn. When you practice a skill, game, or task, you repeatedly activate the same circuit of synapses. Each time you practice you make small incremental changes to your synapses. After several repetitions, these synapses become different. Learning alters the structure of your brain! In studies of those aged 90 and beyond, the level of exercise was correlated very strongly with longevity. Your brain benefits from exercise just as much as your muscles do. An average of 45 minutes a day provides the most benefit, but even 15 minutes helps. Keep moving to keep your brain fit. Sometimes just slowing down and making a change in a process can improve performance. This can reduce stress and open the door for learning. One researcher found that children that often write numbers backwards form them correctly when they slow down. Something as simple as using a different pencil when they write numbers gives them time to slow down while they make the switch. This simple task allows the child to calm down and focus. Your brain is constantly changing in response to your experiences. Your brain is a little different each day. It retains this flexibility well into old age. Keep your brain healthy and it will only loose a few neurons with age. Continue to care for your brain well and it will generate new neurons regularly. Old brains can do new tricks! The brain is the final frontier. How much do you know about your brain? Brain research has taught us many things in the last 10 years. Take advantage of National Brain Awareness Week and learn about your brain. Learn about brain function and become aware of what it means to have a neurological condition. 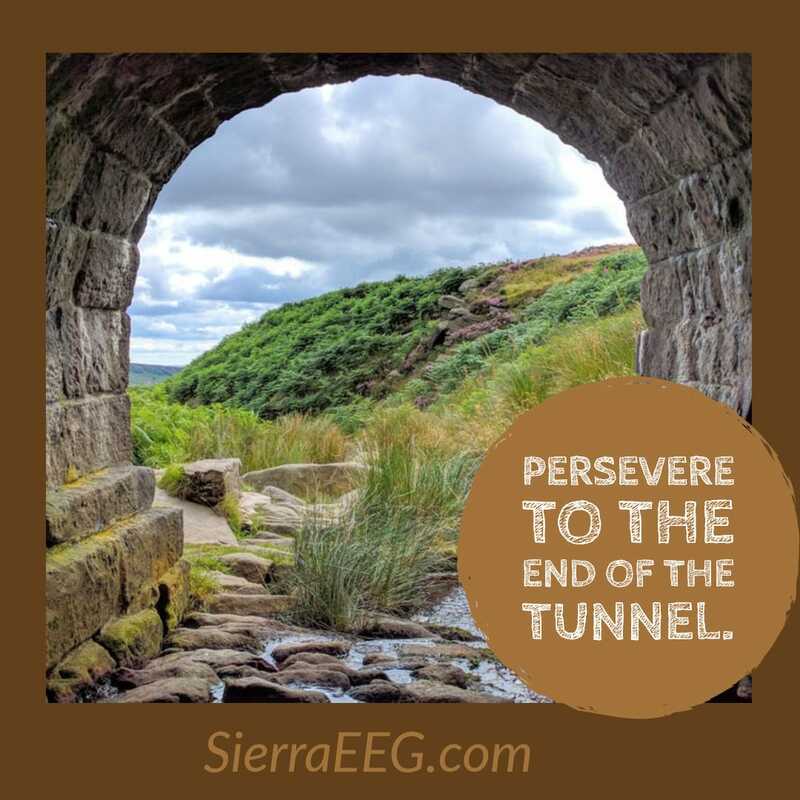 Throughout the week, information will be posted on the Sierra EEG blog at http://www.SierraEEG.com. There will also be an information table at Briar Patch with free educational brain health materials for adults and children including pictures to color, bookmarks and stickers. The Madeline Helling Library will have some materials as well. The celebration will continue at the end of the month with a display at “Emergence: 2012” March 24th & 25th. The fair is located at the Miners Foundry 325 Spring Street in downtown Nevada City. This display will include literature on brain health and fun brain activity books for kids. You will even have an opportunity to play a video game with your brainwaves. For more information about Brain Awareness week, call (530) 263-1413. If you’re taking statins to lower your cholesterol, then you should be concerned about losing your memory, becoming confused, getting diabetes and muscle pain from your medicine. At least that’s what the FDA and other experts are saying. These experts say that if you quit taking your medicine, then these problems will probably go away. Of course, then you have the problem of high cholesterol to worry about. High cholesterol can cause cardiovascular disease – including heart attack – and strokes. That’s why your doctor prescribed statins. So, don’t stop taking your medicine without talking to your doctor! 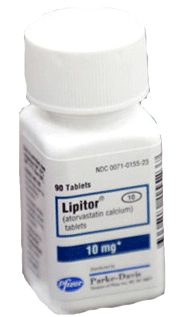 You’re taking a statin if your medicine is called Lipitor, Lescol, Pravachol, Crestor, Mevacor, Altoprev, Livalo and Zocor. You may be taking a generic medicine, rather than one of these brand names. Speak with your doctor or pharmacist to be sure. New research is showing that some people who take statins have experienced cognitive problems such as memory loss, forgetfulness and confusion. Some patients report feeling unfocused or experience fuzzy-thinking after taking the medication. Others taking statins see an increase in blood-sugar that can lead to diabetes. Mevacor has a new warning of its own. It can cause muscle pain and weakness when it interacts with other drugs. Other statin drugs can also cause muscle pain in high doses. If you are at risk for heart disease or concerned about your cholesterol levels, focus on prevention through lifestyle changes before drug treatment. You can do simple things to help keep your brain healthy. Lifestyle changes can make a significant difference in improving your health. Due to numerous side effects, drugs should only be used as a secondary line of defense. Always consider the risks with the benefits before starting any drug treatment. Do the benefits out weigh the costs? Educate yourself. Drugs should always be taken with care. Loose weight if you need to. Ask your doctor for specific suggestions that will help you. 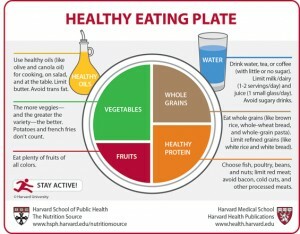 What is Eating Healthy? Food for the Brain. 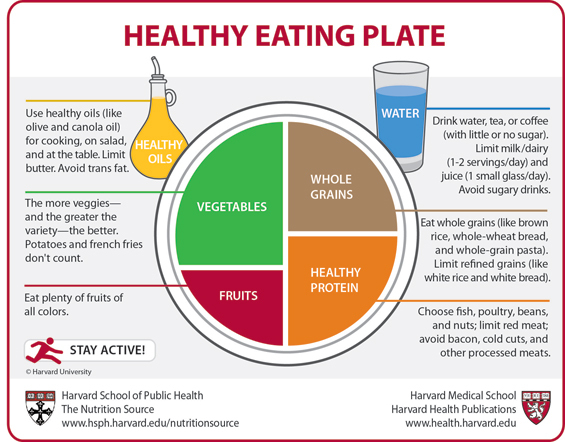 Read more about the Healthy Eating Plate here. This week is National Brain Awareness Week. Brain Awareness Week is an opportunity to teach about brain health and inspire people to make changes in how they care for themselves to enhance their brain function. Another purpose is to reach young people, give them information about brain function and inspire the next generation of neuroscientists. To help reach these goals in our community, I will be distributing educational materials for children and adults at the Miner’s Foundry this weekend (3/19 & 3/20) during “A Gathering of Mind and Spirit.” You will have the opportunity to play a video game with your brain waves for a small fee. I will be making a presentation, “The Magic of Neurofeedback”, on Sunday at noon. Admission is $5.00. I hope to see you there!